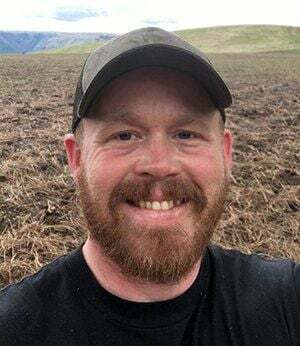 Michael Harlan Gerten, 37, of Nezperce, Idaho, went to be with the Lord on April 9, 2019. He was born July 3, 1981, in Council, Idaho, the son of Franklin and Brenda Gerten. He attended White Bird Elementary and Grangeville High School, completing his GED and CDL in Boise, Idaho. Mike met his wife at hunting camp and was married in June 2009. They moved north shortly after and eventually settled in Nezperce, putting down roots to raise their growing family. He worked at various professions from tow truck driving to ammunition making. He started GS Fencing in August 2015 with his wife, shoeing horses with his dad on the side. Mike is survived by his wife, Kathlene Gerten, son Austin (9), son Cole (4), daughter Amelia (2), step-daughter Liberty (19); his parents Brenda and Frank; brother William, sister Jessica, nephew Kaden (10), niece Rozali (3); Grandma Frankie, Grandpa Hill, Uncle Roy, Aunt Patty and sons Mike and Ben, Uncle Barry and Aunt Annette, cousins Hillary and Olivia, among numerous extended family and close friends. Please join us, family and friends to celebrate Mike’s life on Friday, April 19, 2019,​​ at the Nazarene church in Grangeville beginning at 2 p.m. with a potluck to follow; please bring a dish. Come as you are, all are welcome. In lieu of flowers, the family asks that you consider donations to the young family that he is leaving behind. You may submit condolences online at Blackmerfuneralhome.com. Arrangements are being handled by Blackmer Funeral Home in Grangeville, Idaho.